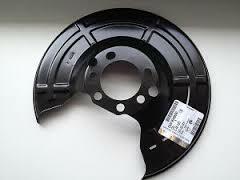 Brake Disc Sand / Dust Plate or Splash Panel. Keeps your brakes free from dirt and dust. Keeping a vital part of your car working correctly. A common FAIL with the NCT. We have listed the most popular sellers in this range. If you don't see the required one for your car, give us a call.